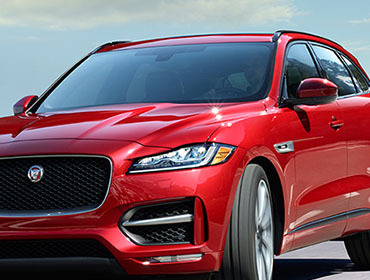 The foundation of the F-PACE is an aluminum architecture that provides impeccable ride, handling, and dynamics. We use aluminum because it creates a stiff and, most importantly, lighter architecture than steel ever could, because its reduced weight enhances handling and braking. 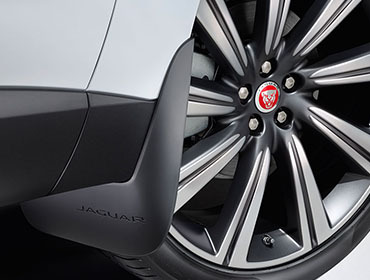 Optional LED headlamps, featuring Jaguar J-Blade LED daytime running lights, produce an intensity of light that is close to daylight, helping your eyes to distinguish objects more easily and reducing fatigue. The loadspace floor is reversible and can be switched, in an instant, from durable carpet to an easy-clean, rubberized surface, perfect for damp or muddy equipment. Optional Lane Keep Assist (LKA) is designed to sense unintentional lane drift and to help steer the vehicle back into its lane. Also working to help keep you safe, Driver Condition Monitor (DCM) constantly analyses driving inputs to detect lapses in concentration due to tiredness. When the system determines that a potentially drowsy driver is at the wheel, it suggests taking a break via a notification in the instrument cluster and a slight shake of the steering wheel. Whether you’re accelerating on the highway, cornering on country roads or navigating uneven surfaces around town, available Adaptive Dynamics instinctively modifies the vehicle’s response to conditions and your driving style. It is designed to analyze acceleration, cornering, throttle and brake pedal activity as well as kick down activation. Steering and body movement are also analyzed up to 500 times a second. 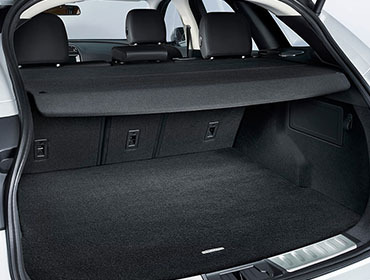 Using this information, electronically controlled dampers constantly adjust to optimize the suspension settings.